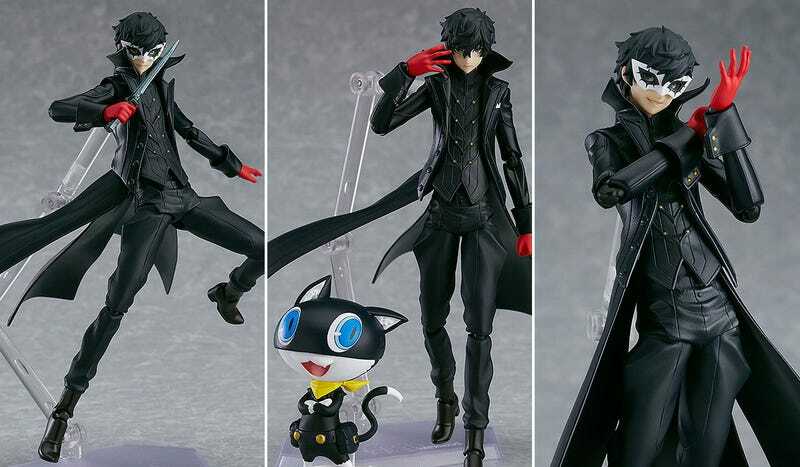 Here’s the first good look at a Persona 5 figure that won’t be out until next year, but will have already changed your heart: Figma’s Joker, who also includes Morgana whether you want him or not, because of course he would. Joker includes three faces (one with a mask and two without), a gun, a knife and some bonus hair so you can make him look extra moppish. Morgana, meanwhile, isn’t a proper figure, he’s just there for display. They’ll be out at the beginning of 2018, and should cost anywhere from $40-60 depending on where you import from.